Booth approximately 8ft. wide x 8ft. deep. Includes 48in round table, linen, two premier chairs and a website listing with link. Includes an 8ft. wide. x 6ft. deep ballroom booth, 48in. round table, linen, two premier chairs, website listing with link, linked logo on the home page, expanded listing with link and photo on the Sponsors Page and “plug” on the new Sedona Wedding Planning Unveiled Podcast now available on I-Tunes and other outlets. Limited to perimeter walls in ballroom and select pre-function areas. Electric cannot be ordered at the show. Only booths marked “Power” on the floor plan have electric available. Includes a 6ft. rectangular table, linen and two chairs, website listing with link. No booth walls or drape. 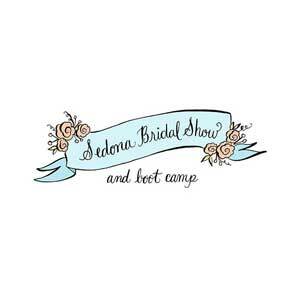 Vendors who would like a “guest interview” on the “Sedona Wedding Planning Unveiled Podcast” may sponsor an entire episode with a scheduled personal interview for an additional 100.00 per episode. The interview will feature the guest and their business with an in-depth discussion of their services. The episode will remain on I-Tunes for at least one year and possibly indefinitely. Deposit: $250.00. Non-refundable. Balance due by Nov. 1st.